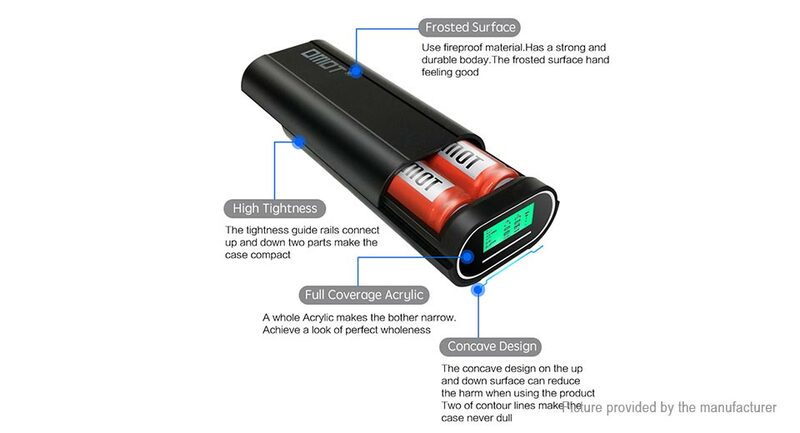 Fireproof material and frosted finish makes it exquisite, scratch endurance and stain resistance while semaless body closure ensures the power bank case's compact body for easy transportation and storeage. 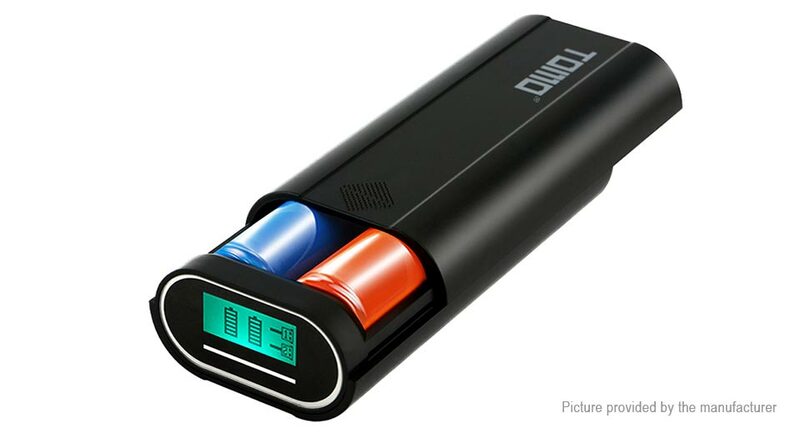 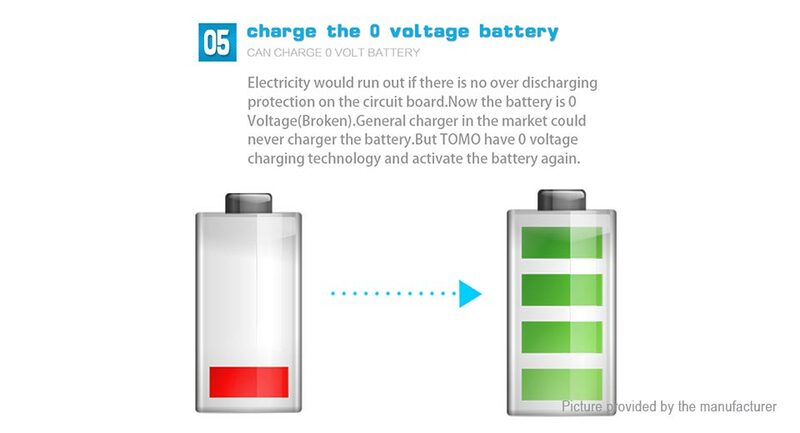 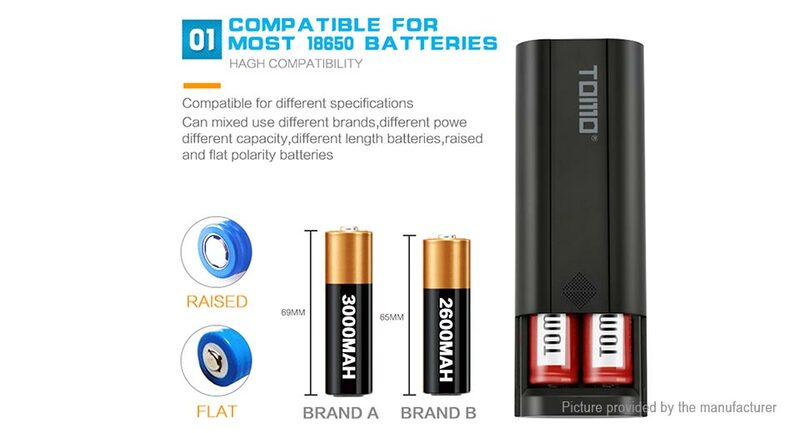 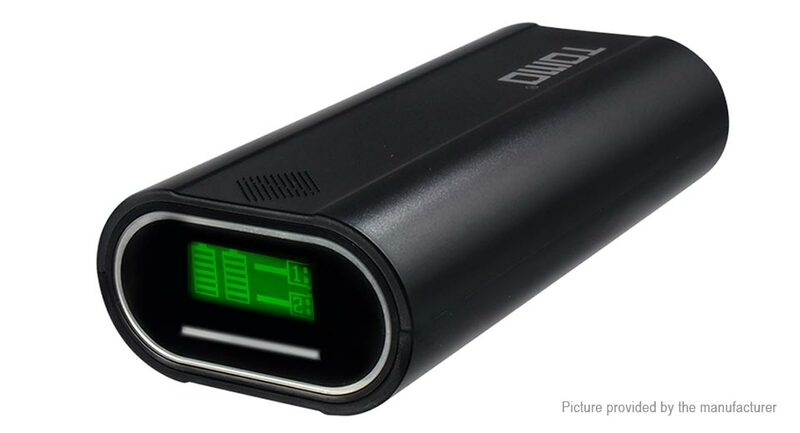 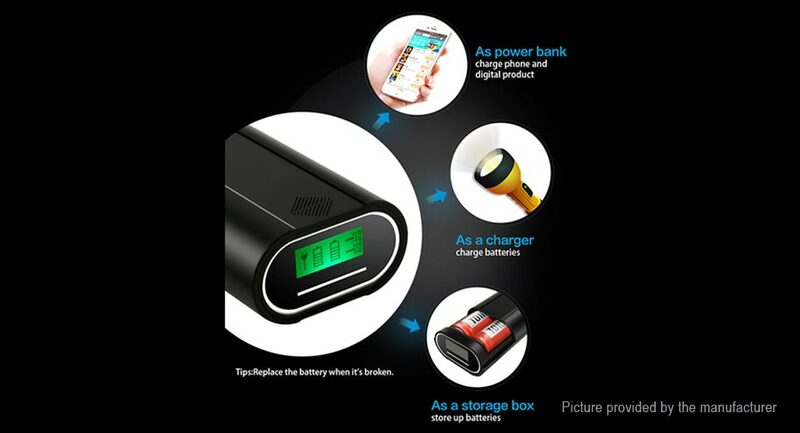 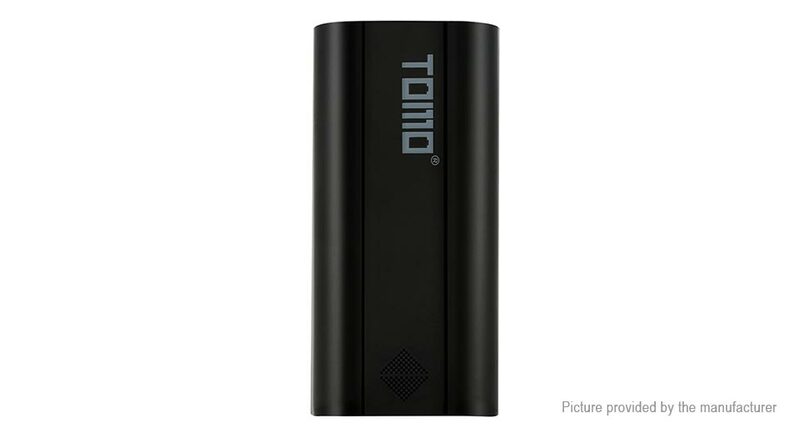 Battery capacity is up to you: the power bank case is suitable for varied 18650 LiPo battery regardless it's brands, battery capacity, length, tip or flat head making it widely compatible. 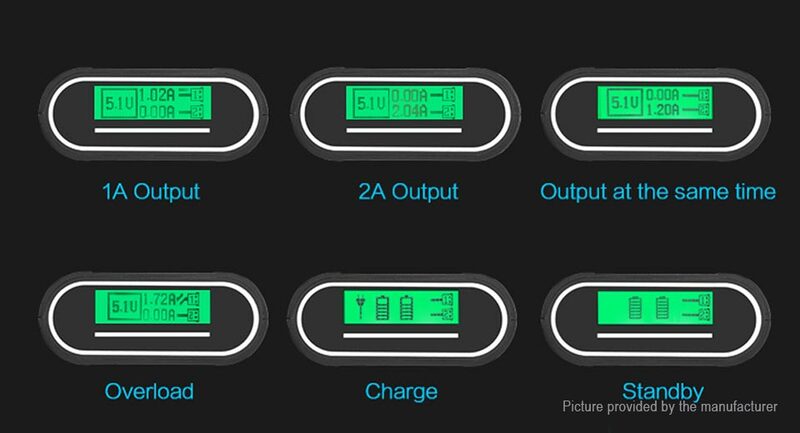 LCD screen display shows charging information: a glimse of screen can know the working status, current output, remaining battery, charging voltage and etc. 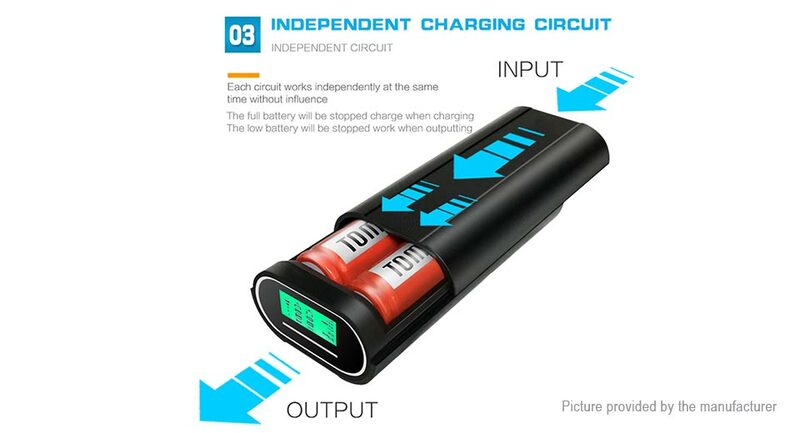 Independent circuit: each battery charges and discharge indepedently without interfering with each other. 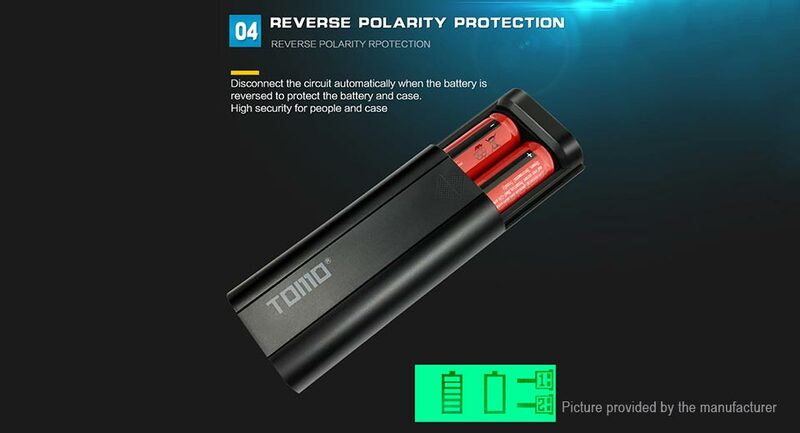 Multi-layer circuit protection: intelligent chip protects the batteries from overcharge, reverse polarity, overdischarge, overvoltage and etc ensuring the whole charging and discharging safe while protects your valuable digital devices in charging.